EDINBURG — The Texas Rangers will be investigating the Agua Special Utility District at the request of Hidalgo County District Attorney Ricardo Rodriguez, according to a news release issued by his office Friday. Rodriguez said over the phone Friday he could not provide more information. 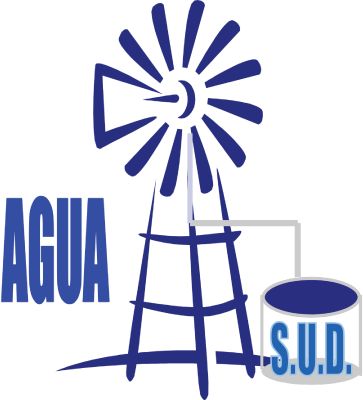 The utility district is a nonprofit corporation that provides water services throughout the western part of Hidalgo County as well as sewer service to Sullivan City. The district is also in the midst of a project to bring sewer service to the city of Palmview. As of press time, Agua SUD interim General Manager Jose E. “Eddie” Saenz and Board President Rogelio “Roger” Hernandez did not respond to multiple requests for comment. It remains unclear what actions prompted the investigation but Ricardo Ochoa, who serves on the board of directors, speculated the scrutiny was over severance payments to two employees that amounted to nearly half a million dollars. “That might be one of the reasons, which I think is probably a very legitimate reason,” Ochoa said. The two now-former employees, who also serve on the La Joya school board, were no longer able to work at Agua SUD as a result of a new law, introduced by state Sen. Juan “Chuy” Hinojosa, D-McAllen, which aims to curb conflicts of interest by limiting who can be employed at Agua SUD. Four of the seven directors on the Agua SUD board are employees of the La Joya school district. La Joya ISD board trustees Oscar “Coach” Salinas and Armin Garza were employed with Agua SUD as outreach coordinator and utility project manager, respectively. 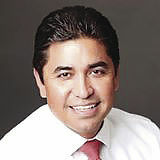 After the bill, SB 814, was passed, the Agua SUD board authorized Executive Director Oscar Cancino to resolve any potential disputes with employees who will be affected by the bill. Homer Tijerina was the only director on the board who voted against it, explaining he disagreed with allowing Cancino to negotiate severance agreements with Salinas and Garza without having to come back to the board for further approval. “If there was any wrongdoing or anything, that would be on the rest of the board members,” Tijerina said of the investigation. Ochoa, who is typically in the minority with Tijerina, said he voted for the measure knowing it would pass regardless of his position and because he hoped it would encourage Cancino to keep him apprised of the negotiations. However, Cancino never informed him about the agreements, Ochoa said. Hinojosa, the state senator, strongly condemned the payments in November when details of the agreements first emerged, stating that they bordered on abuse of official capacity and misapplication of fiduciary duty.